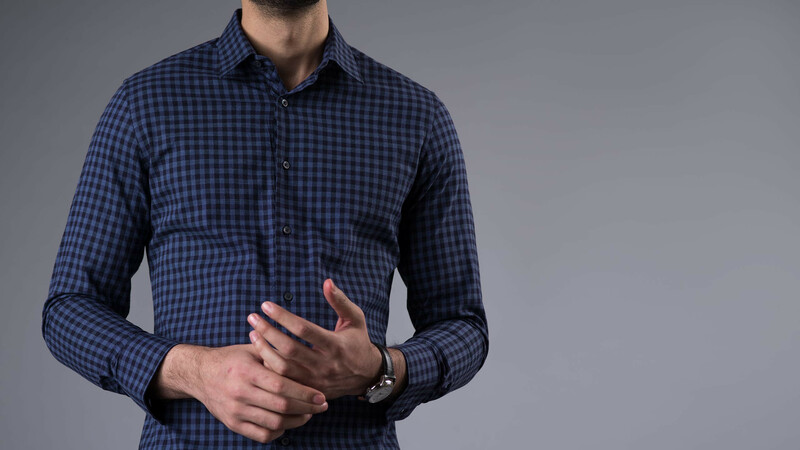 A must-have in every man's wardrobe. 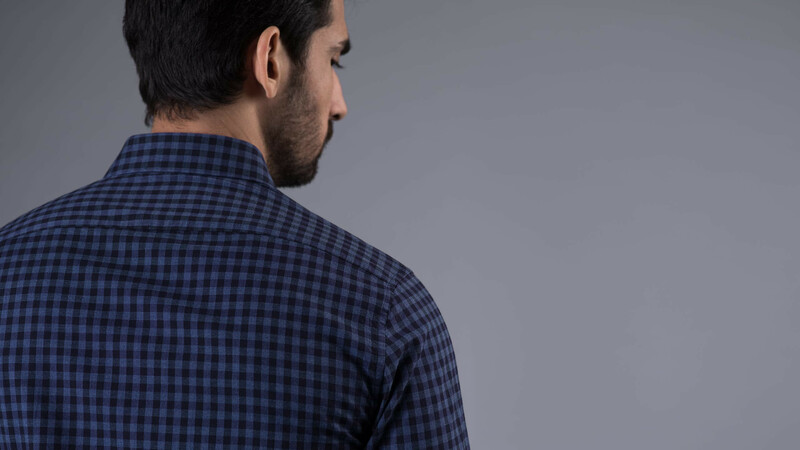 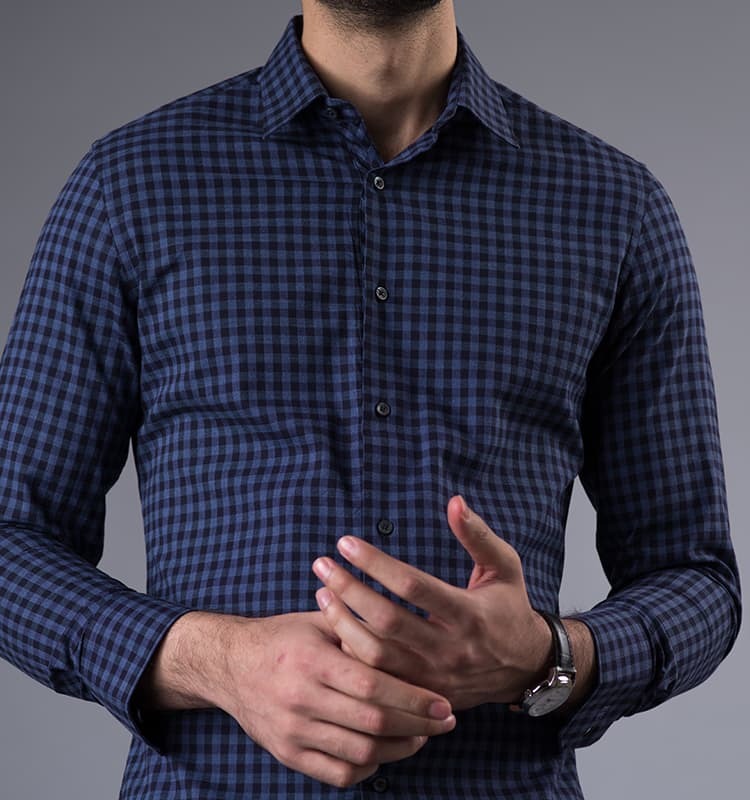 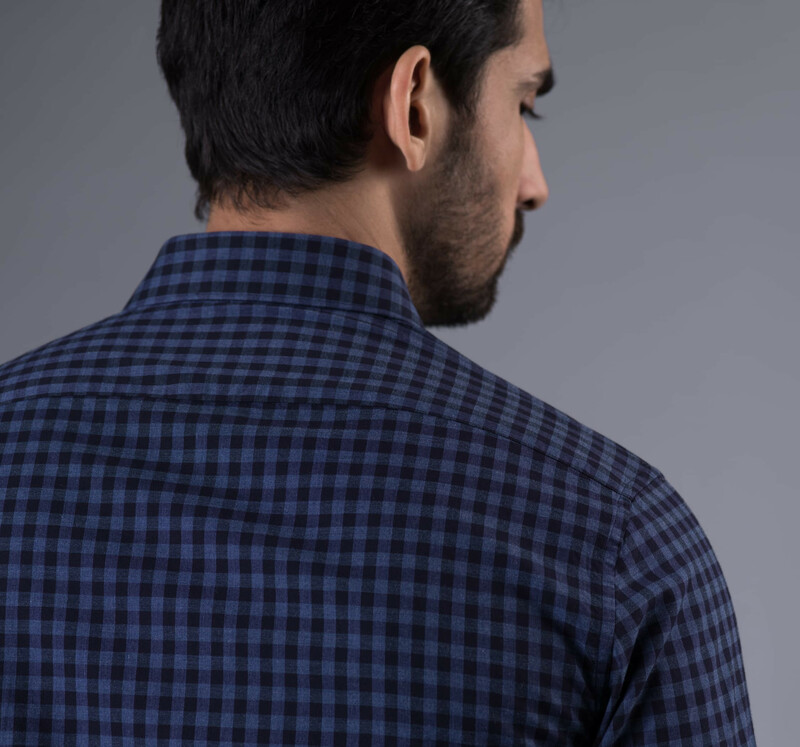 It's a very sophisticated navy and grey check, made from a beautiful brushed medium-weight flannel that gives the shirt a soft and brushy hand feel. 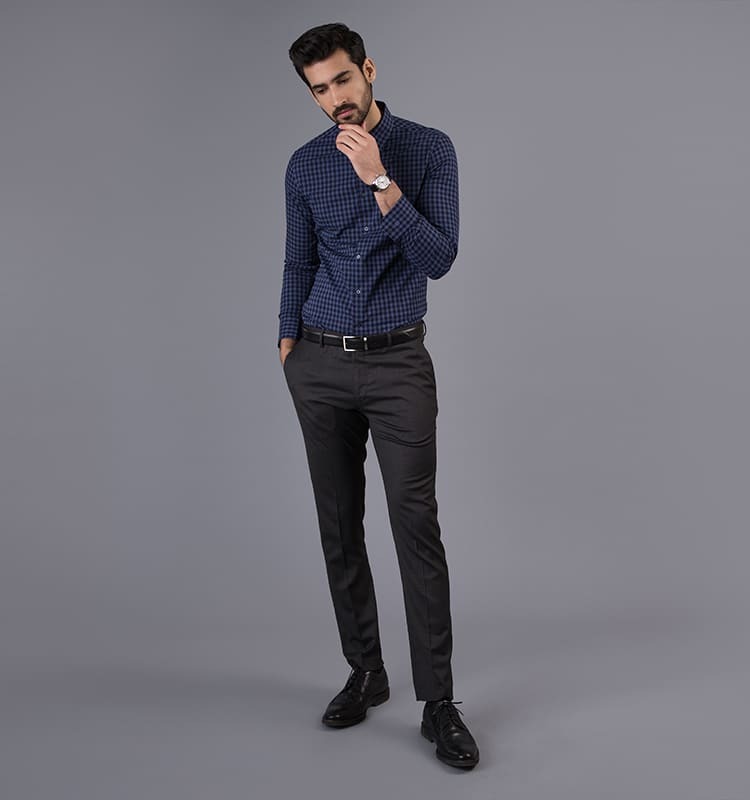 Works great tucked in with pants or a business suit, or, tucked out with a clean pair of dark denims. 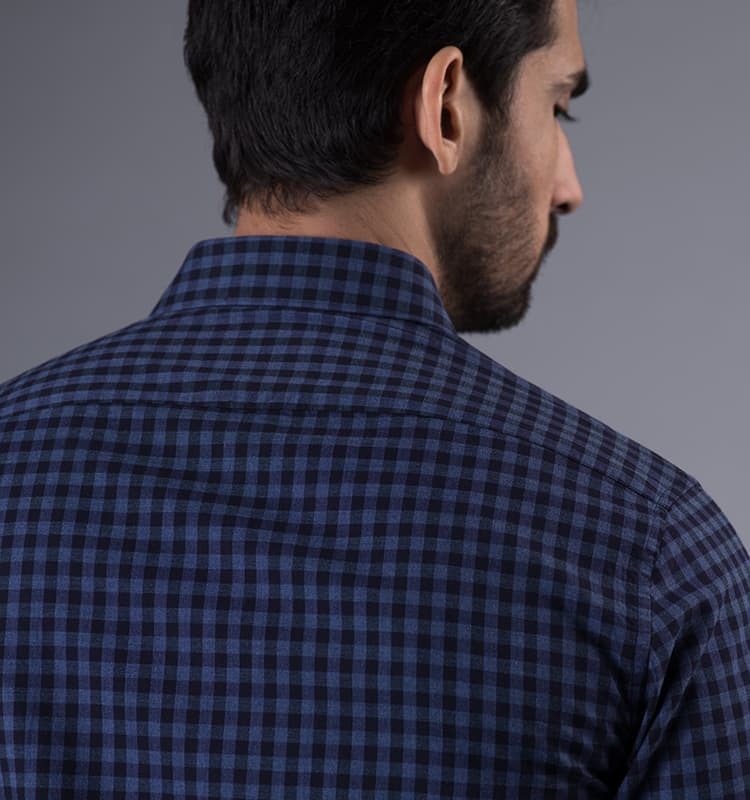 Biased detail at inner neck band, inside cuffs and button placket. 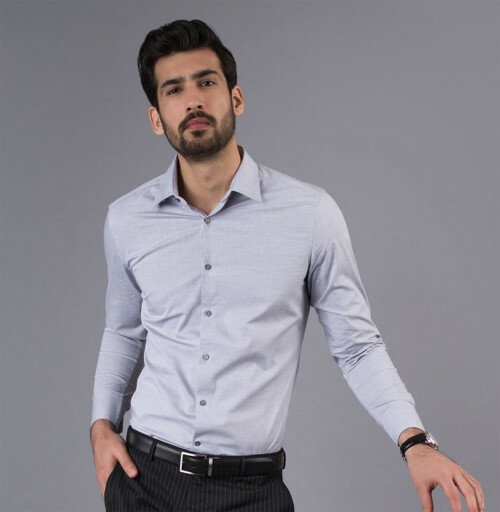 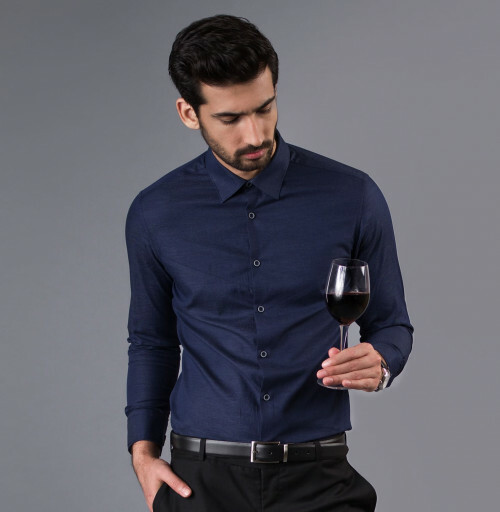 Only the finest fabrics are chosen for a Signature Andamen shirt and this shirt is made from Egyptian Giza cotton - the best cotton in the world with the longest staple length that gives exceptional sheen and vibrancy.